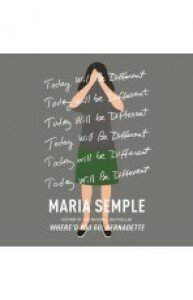 After having enjoyed Where'd You Go, Bernadette, I was excited to find another book by Maria Semple--and especially once I realized she had gotten Kathleen Wilhoite again, to narrate the audiobook. 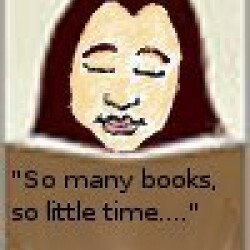 The two books appear to exist in the same universe, as the central character's son goes to The Galen School, just as Bee does in Bernadette. Eleanor Flood used to be at the helm of an animated show called Looper Wash. But that was years ago. She and her hand-surgeon husband Joe Wallace had traded New York City for Seattle ten years before, based on the premise that Seattle was supposed to be the least religious city in the U.S. They had a deal that they'd move back to NYC in ten years, switch again ten years after that, and keep alternating for the duration. But Joe is well ensconced in his position as hand surgeon to the Seattle Sea Hawks, and the topic hasn't been broached in quite a while. So, Eleanor decides that "today will be different," but her plans are interrupted when she gets a call from The Galen School letting her know that her son Timby is complaining that he doesn't feel well. Eleanor is convinced he's faking sick because the same thing has happened a couple of other times recently, so she takes him straight to the pediatrician. The visit reveals that the motive for being "sick" is conflict with a classmate, and the doctor prescribes "Mommy time." An impromptu visit to Joe's office leads to the revelation that Joe had told his staff that the family was "on vacation" that week--which raises the question of what he's been doing while pretending to go to work every day. So things take an odd turn as Eleanor attempts to figure out what's going on. No, she can't just call her husband and have conversation, because then there'd be no plot! Meanwhile, she and Timby have lunch with a former co-worker from her Looper Wash days, and he produces something she hasn't thought about in years: a hand-made illustrated book she made many years back, The Flood Girls. What?!?! Eleanor never told Timby she had a sister. "I don't have a sister!" Well, we'll see about that.